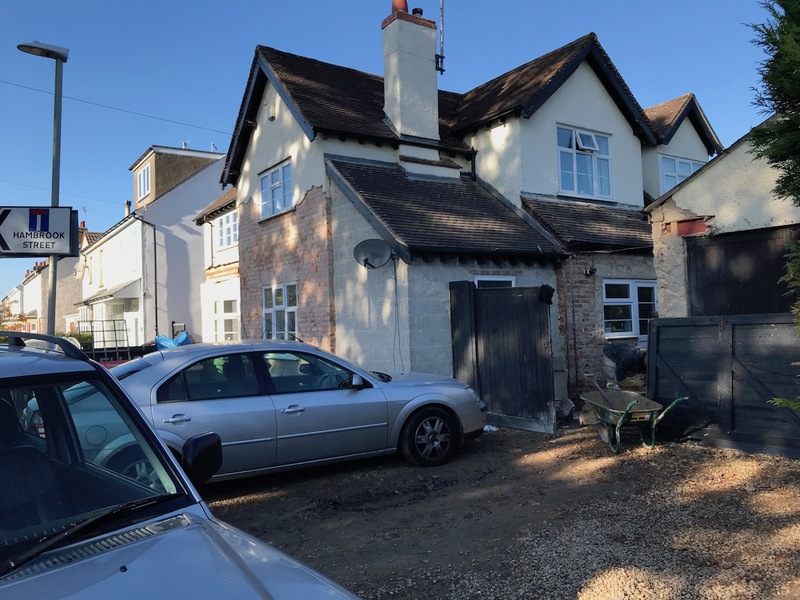 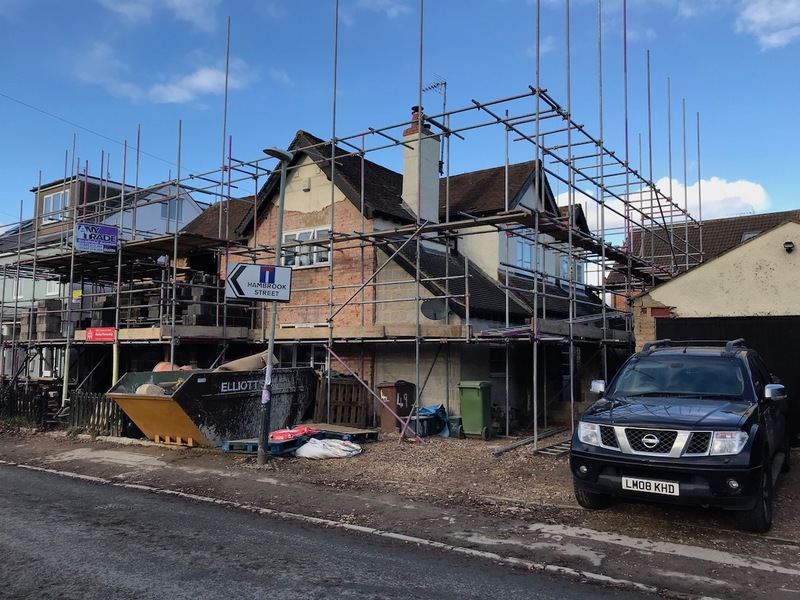 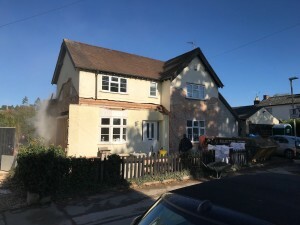 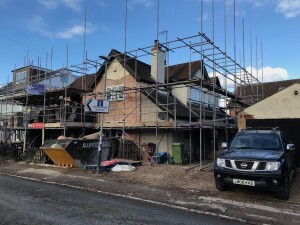 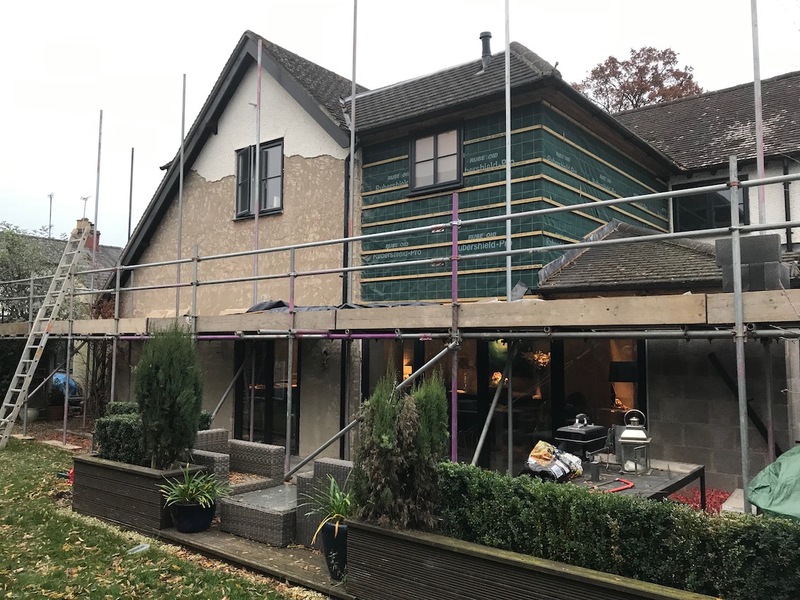 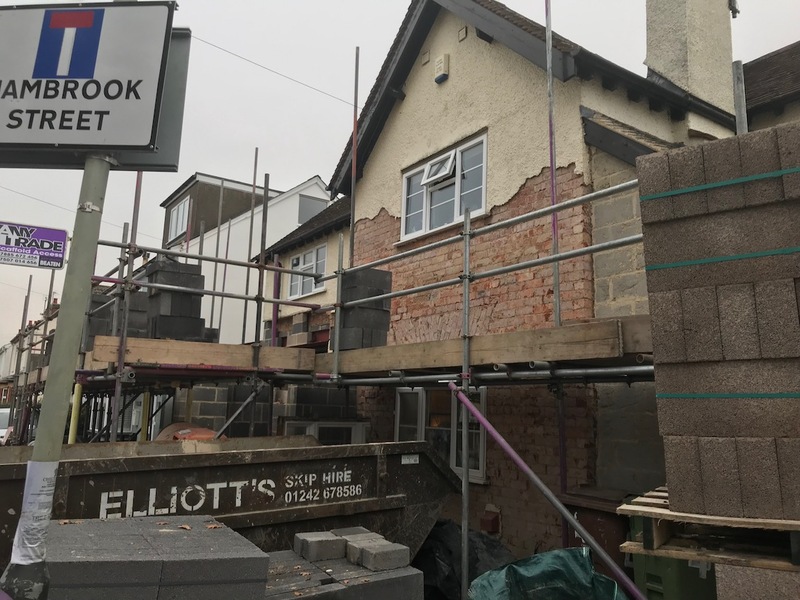 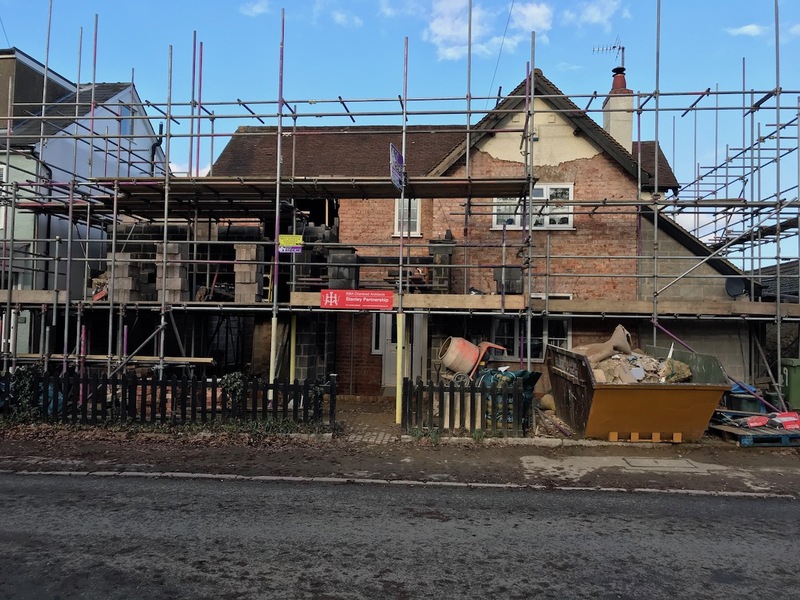 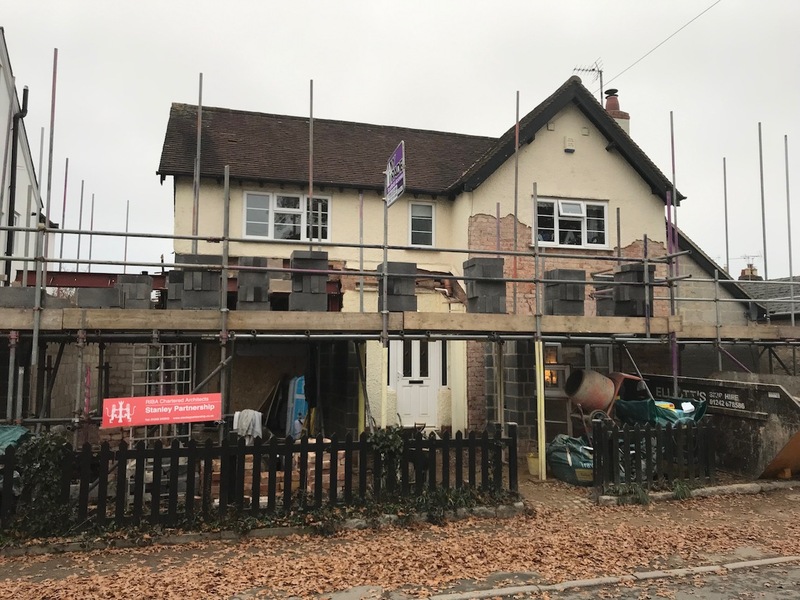 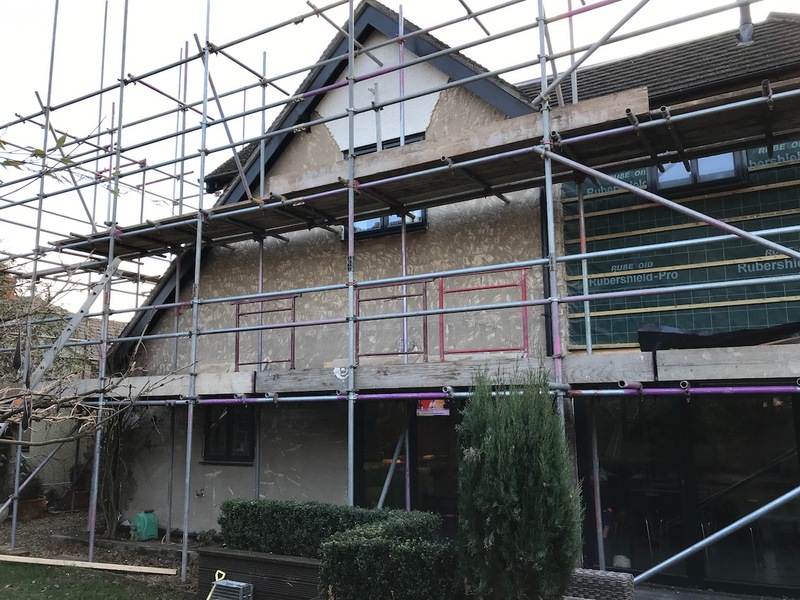 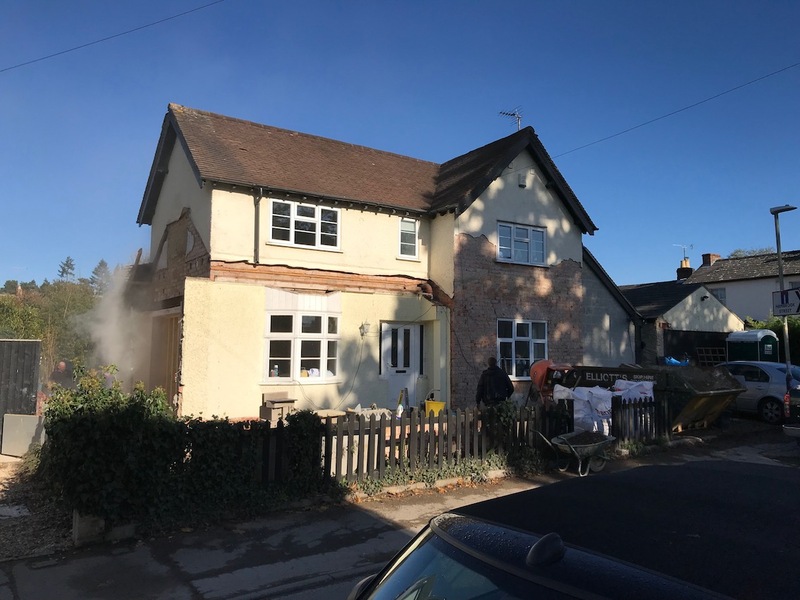 Stanley Partnership Architects visited their Clients home in Cheltenham, Gloucestershire site and photographed the progress made by the Contractor (W & L Building Services. 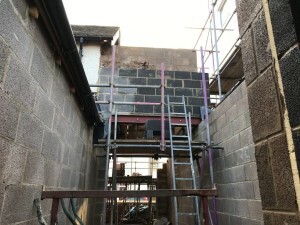 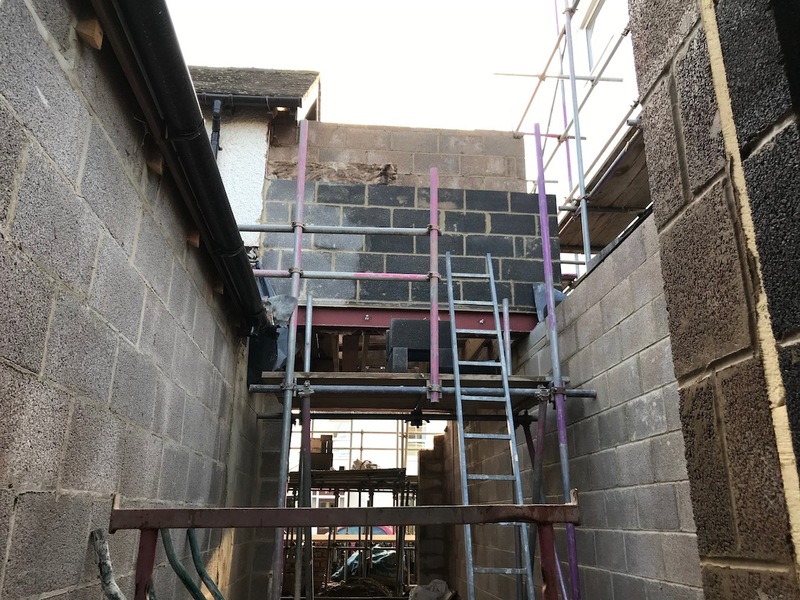 The Foundations and Block work walls have been erected and steels for first floor structure located in for scaffolding contractor to enclose the site, both vertically and horizontally. The existing building is being stripped of the existing render.